We offer our customers a superior production facility, advanced machining and tooling technology, highly-skilled technicians, competitive pricing, a creative approach to problem solving, and a friendly work environment. Utilizing state-of-the-art computerized designing and machining systems, Best Mold and Manufacturing can meet almost any of your needs. We are equipped with Auto Desk Inventor 10, which is a 3D mechanical design system that includes tools for 3D modeling, desiging & manufacturing drawings. The package includes mechanical desktop Auto CAD software. Mastercam and Surfcam are PC-based computer-aided design & manufacturing (CAD/CAM) software system for Windows. They support all our product design & computerized numerical control (CNC) programming of multi-axis mills, lathes, mill/turn machines and our EDM machines. These CAM packages provide us with 2 through 5-axis milling and routing, turning, wire EDM, artistic relief cutting, 2D & 3D design, surface & solid modeling. 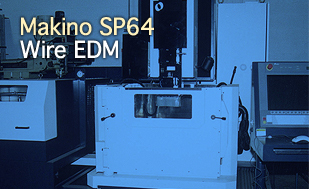 Our 2005 Makino SP64 Wire EDM can hold a work piece size of 44” x 32” x 16”. The SP64 is the latest in cutting technology and adapts to its cutting conditions to produce straighter, smoother surfaces. It also provides superior corner accuracy for intricate shapes and details. 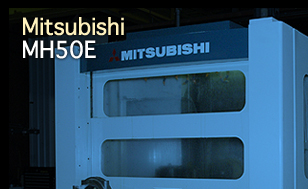 The Mitsubishi MH50E comes with built-in 4th axis index/rotary table, which reduces setups for parts that require multiple tool access angles. An Auto Pallet Changer eliminates machine down time due to part loading/unloading. 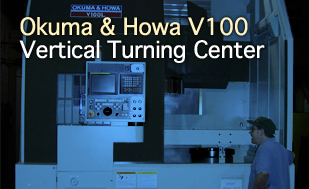 2006 Okuma & Howa V100 Vertical Turning Center offers additional strength and versatility for larger turning applications. The cutting envelope is a generous 40” maximum cutting diameter, 50” maximum swing diameter and 35” maximum cutting length. 2012 Faro "Edge" 9ft inspection arm. 7 axis capabilities. Sheffield Summit 115 CMM measuring volume of 47" x 78" x 30"